NCI Canada Inc. is an innovative company that specializes in the manufacturing of high-quality 2-piece lead-free brass ball valves. NCI has built an industry-leading reputation for manufacturing 2-piece lead-free brass ball valves that are well-constructed and affordable. All NCI Canada 2-piece lead-free brass ball valves are manufactured and tested extensively to ensure conformance to your applicable standards or project requirements. NCI Canada manufactures 2-piece lead-free brass ball valves which are well-constructed, cost-effective and perfect for commercial or industrial applications. 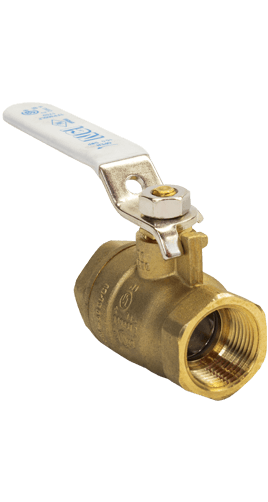 NCI Canada’s2-piece lead-free brass ball valves are suitable for a full range of shutoff and control applications. 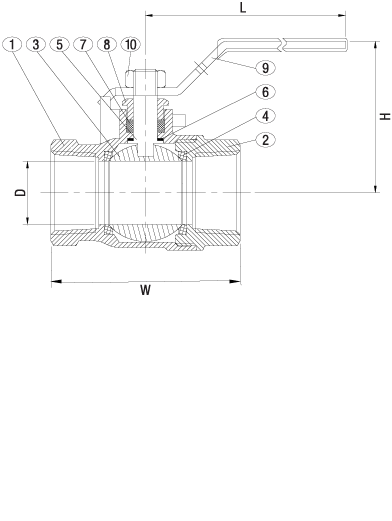 600 series multi-purpose forged shut-off valve is for use in engineered hot and cold water systems, gas applications, compressed air services, and fire protection. 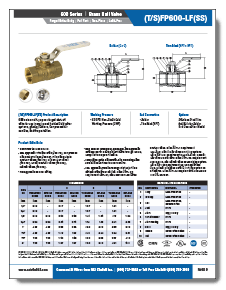 Download more in-depth technical specifications for our line of 2-piece lead-free brass ball valves by clicking on any of the above literature thumbnails. For almost 15 years, ValvSource America has continually committed itself to offer the best 2-piece lead-free brass ball valves products to meet a wide range of applications and requirements. As an industry leader, ValvSource America has your perfect 2-piece lead-free brass ball valves solution. Our success in the valves industry is attributed to our customer-centric team of sales personnel, engineers, and trained staff that are collectively committed to providing quality products at a price you would come to expect.